Retribution of Scyrah: My first post! As an effort to up my own game, I started taking pictures, round for round. To recapture, and recap my own games. I finally decided to start a blog for my own benefit. First off, I'll start with some facts. I have been playing Warmachine since MK2 release. And because I have a strong desire to excel in what I have started, I keept playing Retribution of Scyrah. No matter how bad these guys were back in those days. But Retribution being a joke faction, is old new. And with the release of MK3, these guys really have a big footprint. 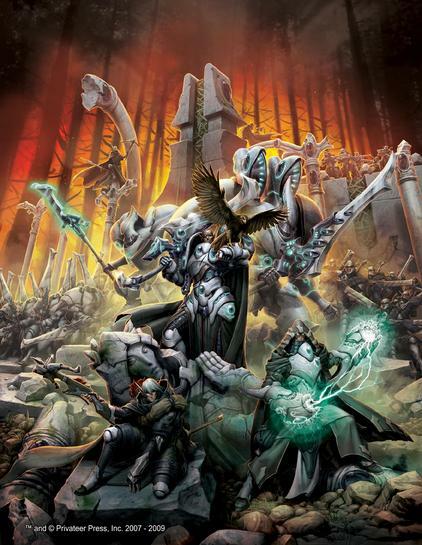 In fact Retribution is now a contender for top faction in both Warmachine and Hordes. "live the dream while you can boyz!"